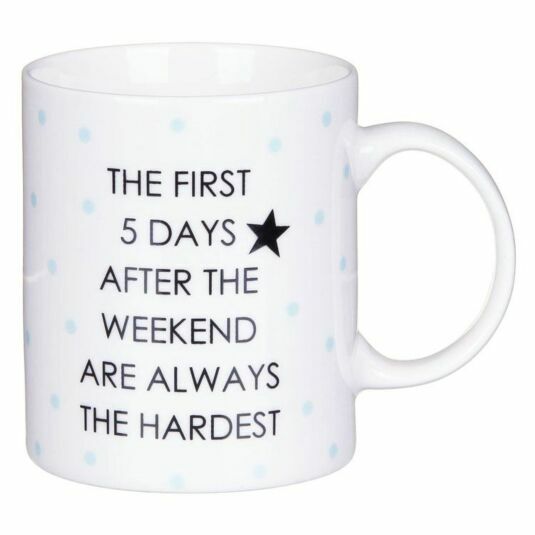 This motivational mug is sure to help you through your week, however tough it may be! 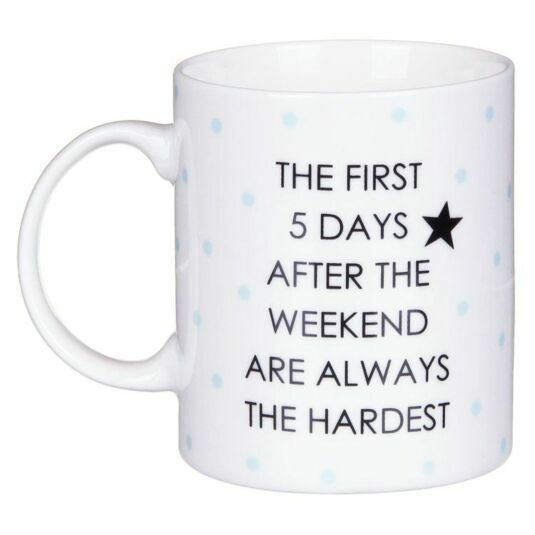 This appears on both sides of the mug, and is surrounded by light blue dots. 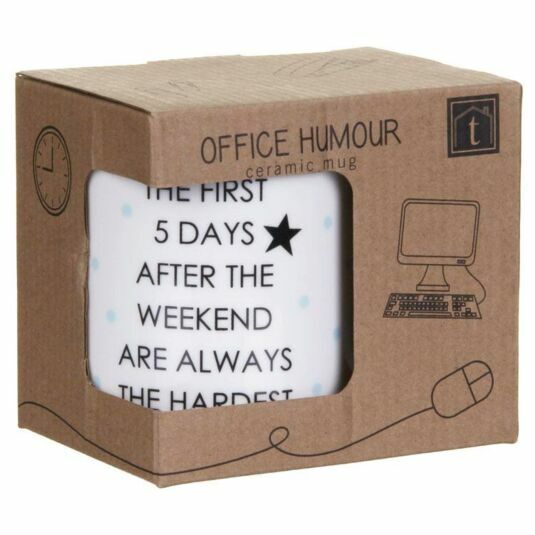 The ceramic mug comes in a presentation box, making it the perfect gift for anyone who needs a little encouragement in their lives!